Buy 1 Oil Painting - GET 2 FREE!! Here’s how it works: Simply select any 3 oil paintings from our online gallery….in any size or any price….it is totally your choice. Whichever is the most expensive oil painting out of the three….that would be the one you would pay for, and the other two oil paintings would be absolutely FREE! There are no quantity limits on this sale….the more oil paintings you buy, the more FREE oil paintings of your choice you will receive. You may take advantage of this offer by ordering online or by telephone. 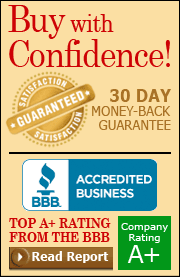 All purchases are backed by our unconditional 30 day money-back guarantee. After you have added the first oil painting to your shopping cart, simply click the “Redeem” button on the top of the shopping cart page to activate the “Buy 1 Oil Painting – Get 2 Free” coupon code. Once you have three oil paintings in your shopping cart,you will now notice that there will be 2 oil paintings in your shopping cart marked "FREE". Please note the cost of the free oil paintings will be deducted from your order total on the shopping cart page and when you check out. ***IMPORTANT: If you are having any problems completing your order online or you wish to place your order by telephone, please call our Customer Service Dept. for immediate assistance at the following telephone numbers: U.S. and Canada customers toll-free: 1-800-660-0278 or for all other International customers: +1-561-314-3500. Please note: This offer cannot be applied to previous or pending orders and may not be combined with any other offers and discounts. This offer is not applicable to the purchase of gift certificates, frames, framing services, or family portraits. Global Wholesale Art reserves the right to cancel any order due to unauthorized or ineligible use of this offer. The free oil paintings will be the lowest priced oil paintings in your order. There is no expiration date for this sale. All displayed paintings are the actual works of art painted by our artists! Paintings are in stock for immediate shipment, unless otherwise noted.